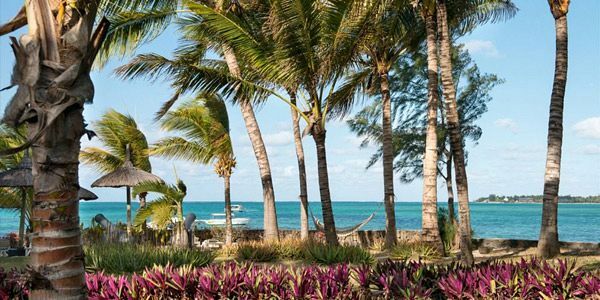 Feast your eyes with incredible views of the northern islets from the hotel, and the many shades of blue. 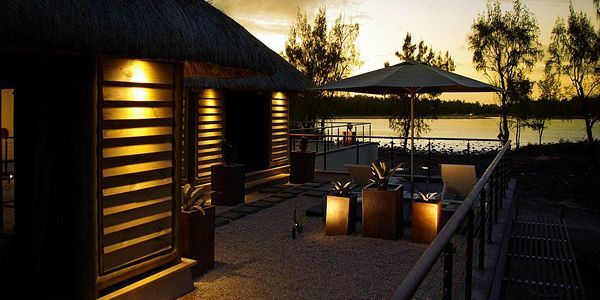 The typical Mauritian architecture, and contemporary seaside decoration merges harmoniously into the surrounding nature. 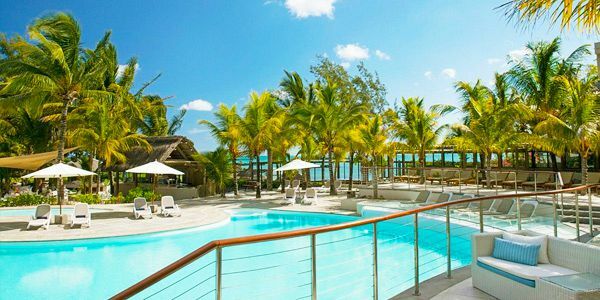 Sensimar Lagoon Mauritius is a 4-star hotel with an adult-exclusive concept, ideal for a romantic escape. With 182 rooms, the hotel offers different possibilities of accommodation where some rooms even include an outdoor whirlpool. 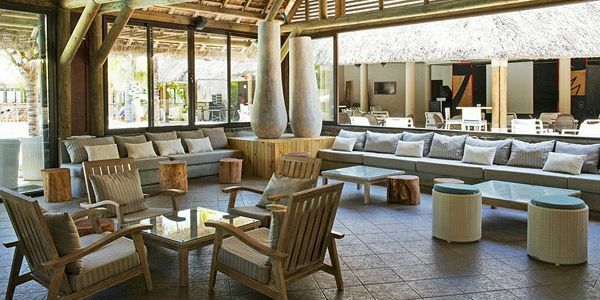 The rooms are a combination of Mauritian materials and contemporary seaside decor. 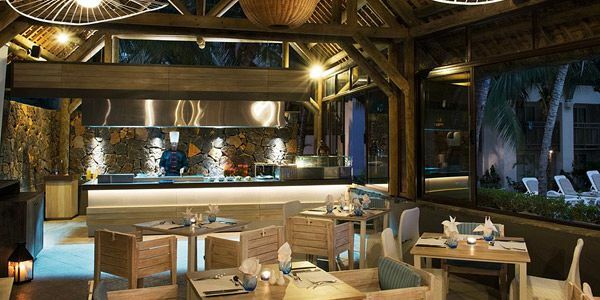 The 4 restaurants offer diverse flavours and tastes; an invitation to the culinary specialities of the island. A wide range of leisure options and activities are offered among which, there are three swimming pools including an infinity pool and the Spa Attitude. 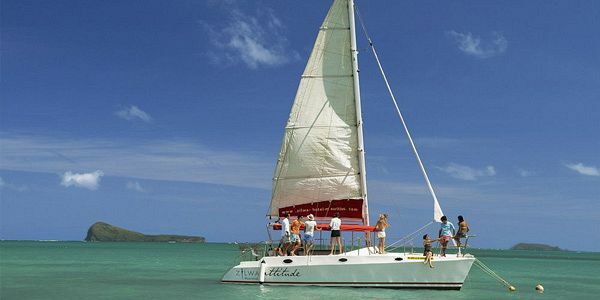 Other nautical activities include a diving centre, excursions on board the hotel catamaran, stand up paddle, a windsurf and kitesurf school managed by Ion Club (one of the world leaders in the gliding-sailing sports activities), as well as Nauticaz, an educational and interactive centre whose vocation is to share the treasures of the Mauritian lagoon. 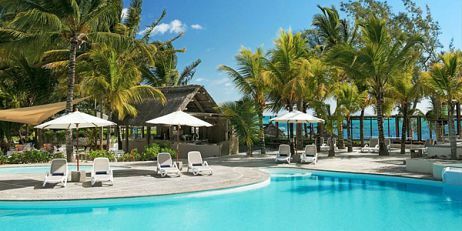 The four star Sensimar Lagoon Mauritius is situated at Anse la Raie in the northern part of the island. The distance from the hotel and the capital city, Port-Louis is 29 km, and from the airport is 74.2 km. 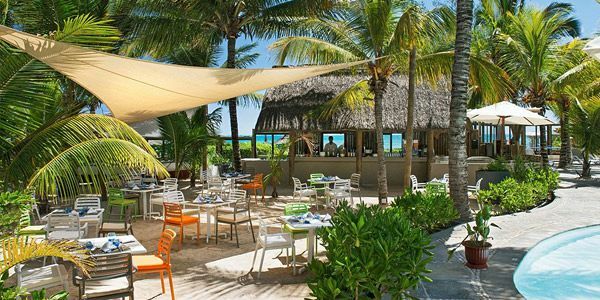 Sensimar Lagoon Mauritius offers you 182 rooms of contemporary seaside decoration which nestle in a beautiful tropical garden right on the two coves of golden sandy beach opening on Anse la Raie wide lagoon, accommodating thus accommodating for singles, couples or friends. 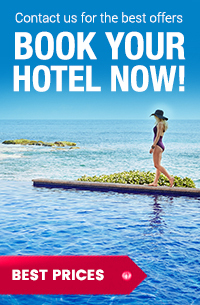 The rooms are classified into several categories to meet your demand. There are 7 pairs of connecting rooms available. Beautifully designed for couples, the Seaside room offers you comfort at its best. You can choose to relax and enjoy some intimate moments with your lover at the furnished terrace or balcony to enjoy some incredible sea views. The Garden room has been specially designed to offer you a romantic escape. Contemplate the sunset from your furnished terrace or balcony for some romantic moments together. Beautifully designed for couples, the Seaview room offers you comfort at its best. You can choose to relax and enjoy some intimate moments with your lover at the furnished terrace or balcony to enjoy some incredible sea views. Ensconced in the spacious Seaside Whirpool Suite with your love and make beautiful memories in this luxurious suite. 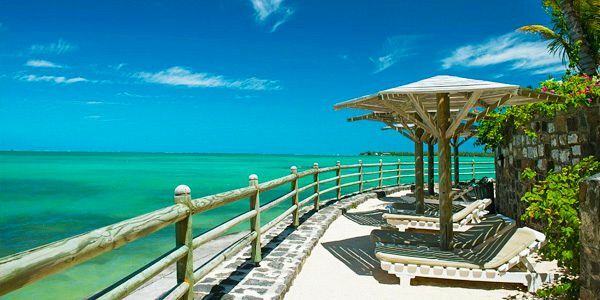 Enjoy the seaside view and relax. The spacious Seaview Whirlpool Suite has been specially designed to offer a maximum comfort. Just chill and relax in this suite and enjoy the glorious sea view with your lover. Designed in light warm colours the Seaside Deluxe room offers you a romantic escape. Contemplate the sunset from your furnished terrace or balcony for some romantic moments together. 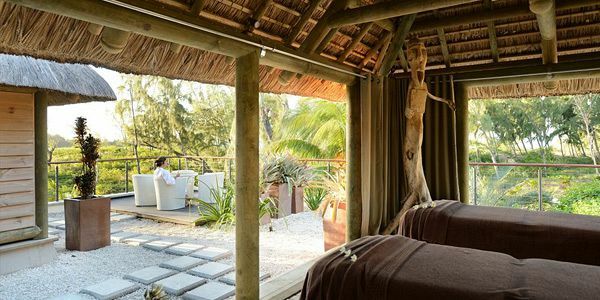 Treat yourself with moments of well-being while on holiday in Mauritius with the Spa Attitude. 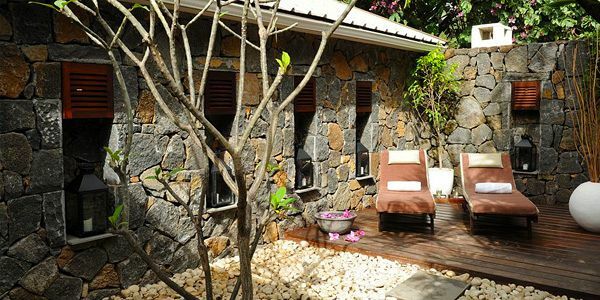 The spa invites its guests to unwind, to experience genuine Mauritian relaxation all along this unique moment of well-being. 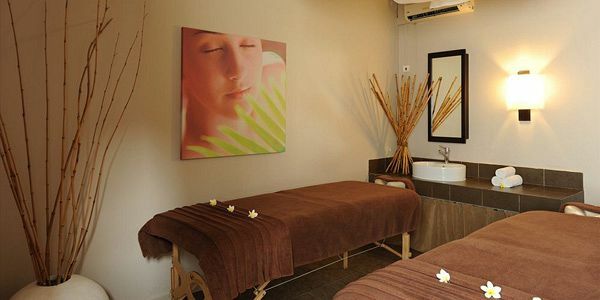 Spa Attitude offers a complete range of massages, body care and facials together with its four signature treatments: Earth Attitude, Sea Attitude, Sun Attitude and Flora Attitude. Natural products and essential oils are used in all beauty treatments. It is opened every day from 09h00 to 20h00. 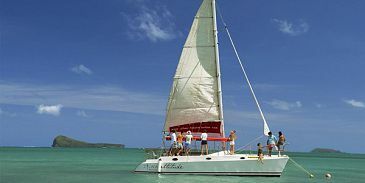 Excursion aboard the hotel catamaran, accompanied by a marine eco-guide. Visit the Nauticaz, an educational and interactive centre to help discover the treasures of the Mauritian lagoon. Enjoy the aqua gym class in the main swimming pool. Experience Mauritian hospitality at its best with a genuine home cooked dinner in a local home (once a week upon reservation, at extra cost). 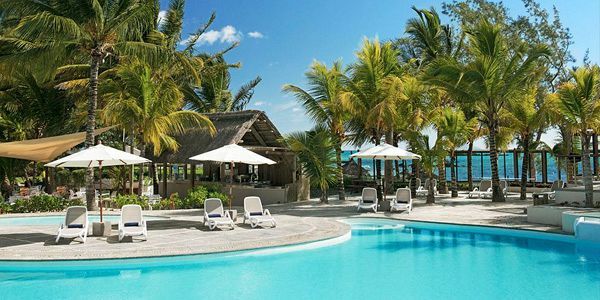 Welcome to the weekly "Made in Mauritius" market! Wicker baskets, home-made jams, recycled sails bags... and many more ideas for local souvenirs to take home.... All the profit goes to the artisan. A holiday to the beat of local music: discovering traditional instruments and Mauritian artists, séga show. Guided visits new application (to download on Smartphone) : Off beaten tracks, discover exceptional sites and little wonders of our natural and cultural heritage... fill the pages of your otentik "notebook" kindly offered by the hotel, with all these souvenirs collected during your stay. Enjoy the mouth watering local and international cuisine at Le Bénitier restaurant offering 200 seats in a very pleasant environment. 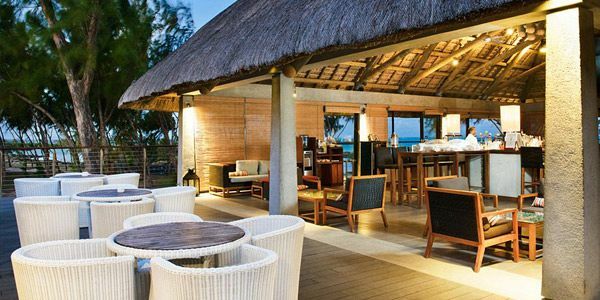 Find the Seabreeze beach restaurant offering mouthwatering dishes, where you get to taste various dishes from different cuisines in a chill out environment. 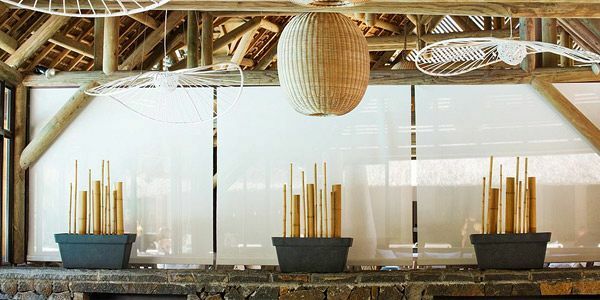 A restaurant of Asian inspiration offering a la carte and themed dinners twice a week. 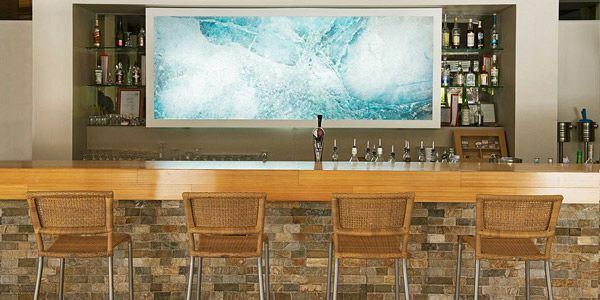 Chill at the two hotel bars the Wave and Bar lounge Seabreeze. Both bars offer exotic cocktails! Open from 10:00 to 23:30 Light lunch (Burgers, panini, salads from 12:00 to 14:00). Dress code: decent at meal times, casual and elegant at dinner; swimwear and pareos are not accepted in the restaurant and bar area. At dinner time, shorts are not accepted in the restaurant and bar area.